Yoga is for everyone! I often hear people say things like “I’m not flexible enough” but it is not about achieving the perfect picture pose, it is about looking after your body and rewarding it with breath and movement. Yoga can mean different things to different people and no matter who you are you can reap some benefits. One of the key things I’ve learnt on the training is just how vast the diversity of yoga is, and how it can be adapted for anyone and everyone depending upon their preferences. Yoga can be slow and restorative or it can be powerful and build strength for both body and mind. I came to yoga during a stressful period in my life to escape the intensity and found a sense of calmness. Since then I haven’t looked back and I continue to enjoy my practice and explore all that yoga has to offer. Whether its just movement of the body, to build flexibility and strength, or a way to find balance and calmness within. Since completing my RYT-200 Yoga Alliance accredited teacher training and my RPYT Registered Pre-Natal yoga teacher I have gone on to teach small and large groups, beginners and improvers, pre-natal and post-natal yoga, corporate and private classes. 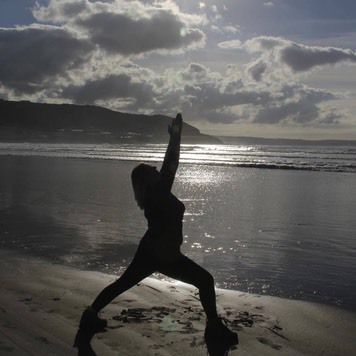 My classes create a sense of strength and calmness, allowing you to re-connect with your body, breath and mind. I generally teach Vinyasa Flow yoga which offers a combination of flowing movements and holding poses that help to improve both cardiovascular fitness and muscle strength.